Nintendo's anthropomorphic animal-filled community simulator has come to 3DS, five years after Animal Crossing: City Folk was released for the Wii. A game with no firm objectives beyond "exist", Adam Goodall nonetheless finds New Leaf to be an addicting experience. Adam is a Gameplanet contributor. He lives in Dunedin. There's a pervasive train of thought in the social gaming industry that the only way to monetise your audience is to cheat your audience. However, the developers who subscribe to this approach would do well to pay attention to Animal Crossing: New Leaf. While not a free-to-play game like your Farmvilles and your Candy Crush Sagas, and thus bereft of some of their more insidious practices, New Leaf is a pretty good model for those games to emulate; after all, it’s basically the platonic ideal of social gaming. 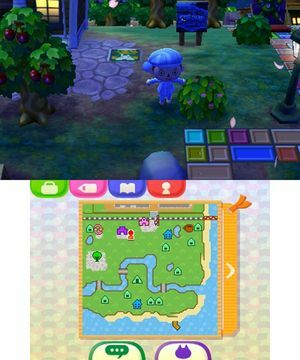 A brief rundown of where New Leaf's at: like in previous Animal Crossing games, you arrive in a town populated by anthropomorphic animals, get given a house and a 10,000 bell mortgage, and are left to your own devices. The gameplay is still anchored in the twin needs of socialisation and the earning of income so that you can wipe your debt with mercenary estate agent Tom Nook. You still get regular letters from your mum, you still buy clothes from hedgehogs because pins (it's a joke), and you still get pushed to treat your candy-coloured debt prison as something approximating a free land. 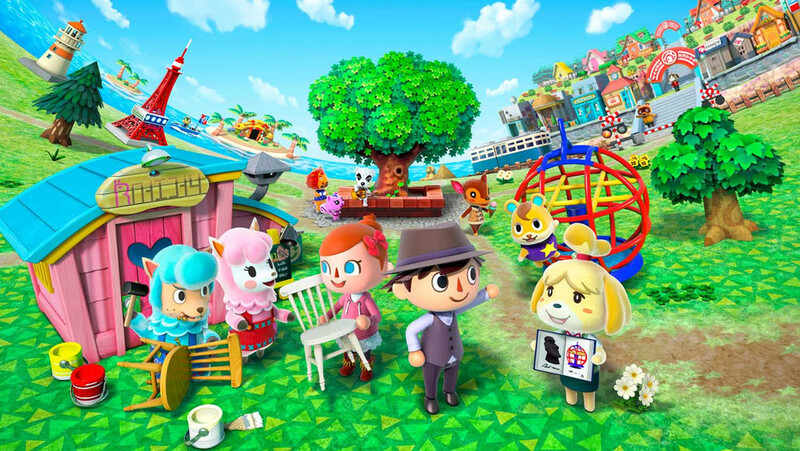 Where New Leaf differs from previous Animal Crossing games is that this time you get to be mayor of your debt prison. With a workaholic Shih Tzu named Isabelle on hand to help, you can install Public Works Projects – fountains, camp sites, that sort of thing – and enact Ordinances – laws that change how the town functions in some way. Like any local government project, though, these cost bells – Ordinances cost a straight 20,000 bells; Public Works Projects cost varying amounts. 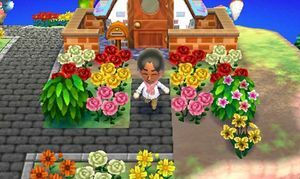 This increased demand for bells necessitates increased supply, and New Leaf delivers in the form of an island getaway flush with sharks and goliath beetles and other high-priced creatures. New Leaf revolves around this economy, this endless cycle of flora and fauna exchanged for bells exchanged for goods and services. To the new player, it's easy to write this off as 'grinding', and it is, kind of. Yes, you can choose to sell that fish or bug or deep-sea creature or donate it to the museum instead or give it as a birthday gift instead but the options keep getting whittled down, keep leading back to the same cycle: Catch the fish. Sell the fish. Pay off the house. Catch the fish. Sell the fish. Pay off the Project. Catch the fish. Sell the fish. Buy the wallpaper. The base mechanics of hunting, fishing, diving, and growing are easy to master, and the long-term incentives are there, putting pressure on your in-game bank account and reminding you that your seaside town is, well, kinda lame right now. The inclusion of turnips, a rudimentary root vegetable-based stock exchange, adds a bit of complexity, but not too much to alienate young players. Here's the thing, though. That grinding? Doesn't matter. New Leaf is repetitive, but it's never boring. That's in part because of the pattern of play the game encourages. A social game through and through, New Leaf is best played in thirty minute to one hour bursts. It incentivises the establishing of routines because the routines are simple and relaxing. It pushes you to take your time, to let yourself go a bit in this friendly little hamlet. Conversations amble along, animal-catching mechanics are built on patience and cautiousness, and even the game's ostensible antagonist, that predatory tanooki named Nook, is a bubbly guy who doesn't want you to stress about meeting your mortgage payments. The only action in the game that is actively punished is running, for Pete's sake (and even then, it's only punished by the player falling over and the grass getting worn down). 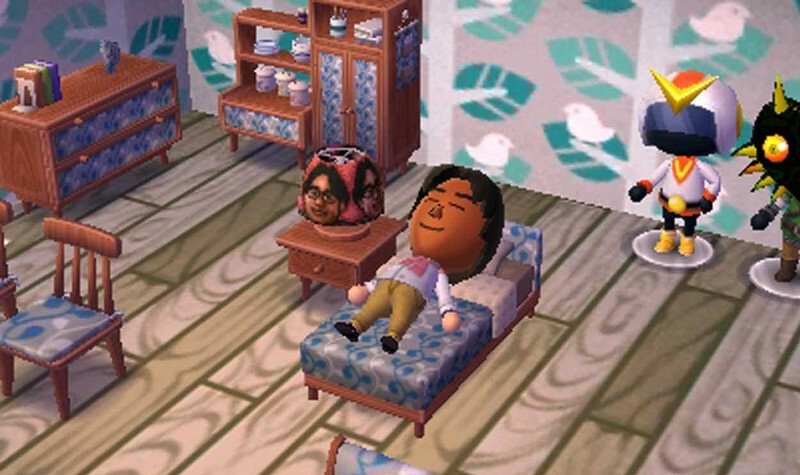 New Leaf's not just relaxing, though; it's downright charming. The Duplo-esque production design evokes just the right kind of simple nostalgia, the blocky characters and solid trees calling to mind a time when we could just sit on the carpet and build societies out of disparate toys. The characters are pretty damn pleasant to be around too, much more interesting than what we could ever come up with at that age. No matter their quirks or personality traits, your neighbours are funny, friendly and all-too-willing to trust you with gossip and small tasks. The stories told in New Leaf differ from village to village, and the interplay of these cartoonish personalities is endlessly entertaining. You’ve not really played videogames until you’ve played one that has a sassy sheep gleefully telling you about how the fashion-mad cat next door keeps feuding with the vain eagle across the river and maybe that’s because they like each other. 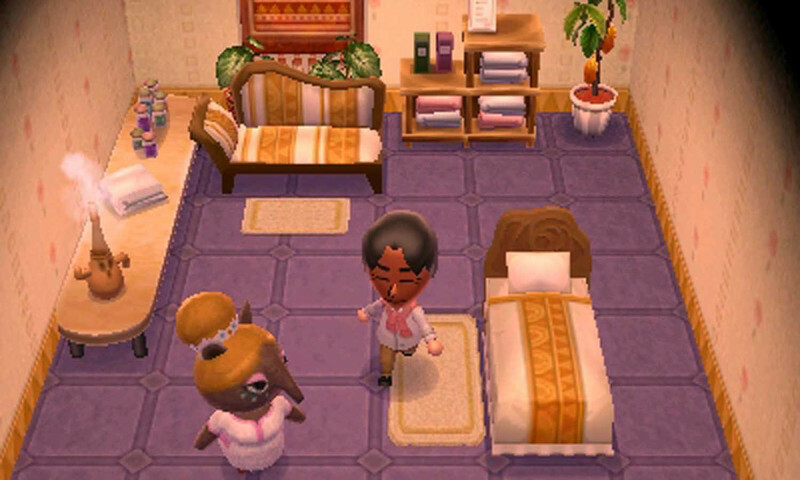 There's also a variety of online options available for players to experience those differing stories, from the 'Best Friend' option (which lets you chat with a friend while in different towns) to the Happy Home Showcase (which lets you buy homeware used by people you've Streetpassed). Opening the town gates remains the meat-and-two-veg of Animal Crossing's online experience, adding that necessary wild-card to the game’s social and economic mechanics. The new features are welcome additions, though, and emphasise the game's commitment to its social element. Animal Crossing: New Leaf may be built around the soulless machinations of Baby's First Economy, but its appeal comes from the way it builds a society around that economy. It comes from the whimsical characters and the way they interact with you; it comes from the many ways you can keep in touch with your own friends and join each others' experiences; and it comes from the way the game keeps the stakes low and encourages you to treat your town as an escape, not a commitment. Most importantly, though, it comes from the way it lets you build a society around that economy, the unending freedom you have to develop your idealised little town, the way every single action you take has an impact on the way that town grows. The social games industry could learn something from that. 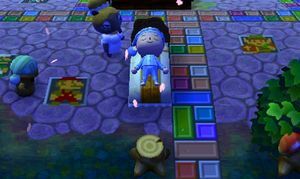 Animal Crossing: New Leaf encourages the player to approach it as a calm in the storm of everyday life: a portal to a new, conflict-free world that you can escape to for a little while each day. It's a peaceful, guileless, and totally enchanting title. Ups Simple mechanics and constant progression encourage a refreshing style of play. Charming, good-humoured writing. Cute and colourful production design. Intuitive and varied online multiplayer options. Downs Can be a bit of a slog in the first few days.